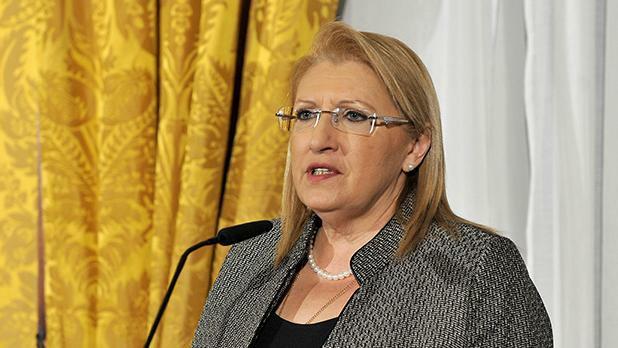 President Marie Louise Coleiro Preca and her husband Edgar Preca will be exchanging their New Year greetings with leaders and the country's highest institutions at the Palace in Valletta on December 20. The President and Mr Preca will also exchange greetings with organisations and the public. Those interested in meeting the President should call on 2205 3352 during office hours. On the same day, Prime Minister Joseph Muscat and his wife Michelle will also be exchanging Christmas and New Year's greetings with the public at Castille. The Prime Ministerial couple will meet well-wishers between 4.15pm and 5.45pm. Visitors will also be able to visit the Cabinet room and Ambassadors' Hall at the Office of the Prime Minister, as well as sign the visitors' book. Those interested in meeting with Dr Muscat and his wife should call 2200 2400 to register.